An Indiana State University student whose activities have run the gamut from traditional community service to political involvement to video ambassador will be recognized during winter commencement at 2 p.m. Saturday (Dec. 19). Analyssa Noe will receive the President's Award for Civic and Community Engagement. The award is presented to a junior or senior who has made community service an integral part of his or her college experience. "It is a great honor to be recognized for my dedication to servant leadership," Noe said. "Service has been an integral part of my academic career, and I am proud to be part of an institution that values servant leadership and encourages students to use their knowledge, skills, and resources to make a difference within the community." 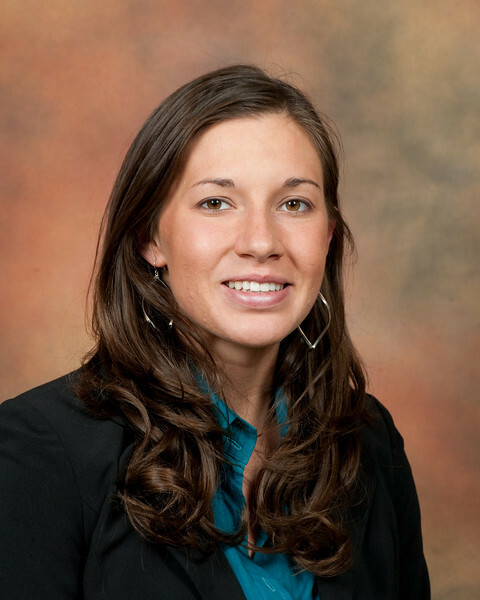 A native of Wetmore, Kan., whose high school graduating class numbered 16 students, Noe will graduate with honors from Indiana State with a bachelor's degree in legal studies and minors in women's studies and civic leadership. She was the National Collegiate Honors Council Student of the Year in 2008. "Analyssa's receipt of the Honors Student of the Year Award was a thrilling moment for ISU and a high watermark for Honors. She exemplifies the qualities we value in our institutional mission and brought national recognition to campus," said Greg Bierly, director of the University Honors Program and associate professor of geography. "Ana is one of the most remarkable natural leaders I have encountered. She is an extremely gifted, hard-working and mature student, and has continually used her ability and stature for the benefit of the university and community. As a learning community peer assistant in my class, she has made me a better teacher and has mentored dozens of first-year students." Noe said she has also benefited from her public service. "I take away much more from these experiences than I actually put into them," she said. "Civic leadership is highly rewarding both personally and professionally. Some of my most formative and beneficial learning experiences have risen out of volunteerism and engagement with community organizations." As a student worker in the Center for Public Service and Community Engagement, Noe updated and wrote several portions of the center's policy and procedures manual and developed operating processes and systems for handling student applicants resulting in quicker placement of students in community engagement projects. During her time at Indiana State, Noe was active in "Take Back the Night," Youth Leadership Terre Haute, Keep Terre Haute Beautiful, Martin Luther King Jr. Day of Service and Salvation Army. She also served as Americorps volunteer coordinator at West Vigo Community Center where she coached a fourth- and fifth-grade girls basketball team, volunteered in Gulf Coast hurricane relief efforts as part of Alternative Spring Break, and twice volunteered at Hull House in Chicago while studying poverty issues. She participated in the Inside Washington '08 program in conjunction with the national political conventions and the 2008 presidential election. She also worked with Rock the Vote, an organization dedicated to increasing voter participation by young people. Noe held the lead speaking role in an ISU recruiting video, hosted an honors program video and is co-host of the "Sycamore Experience" segment of basketball Coach Kevin McKenna's weekly television show. At ease before the camera from the beginning, Noe impressed Tracy Ford, video production manager in the Office of Communications and Marketing. "From our first interview with Analyssa, she projected a mature confidence and presence. Few people have the raw talent to be so natural on camera," Ford said. Noe isn't waiting until the holidays are over to begin the next chapter in her life. She is scheduled to start an internship with the Indiana Senate Democratic Caucus on Dec. 28. She then plans to pursue a master's degree in business administration with an emphasis in consulting. During winter commencement Saturday, Analyssa Noe will be recognized for making community engagement an integral part of her ISU experience.